Building Bridges Foundation At Anderson Farm is a 501(c)3 that is dedicated to helping veterans, changing the lives of others. Doing such feats is not without expense. 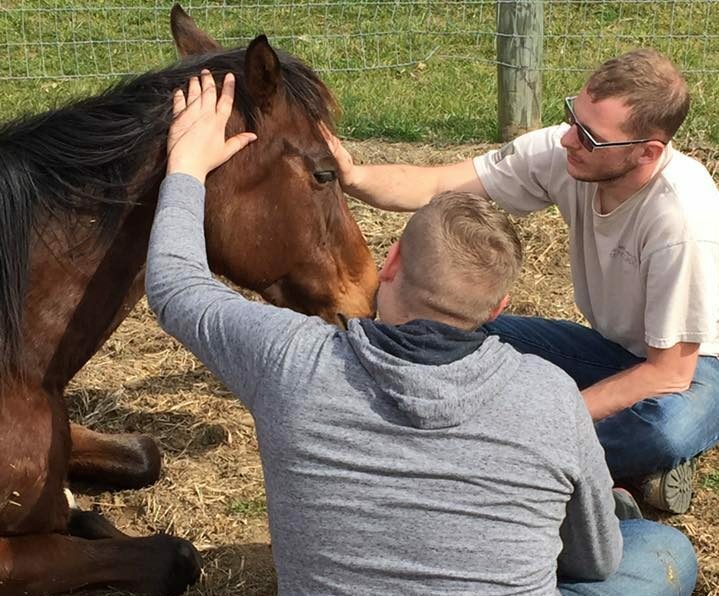 Since 2016, Building Bridges Foundation at Anderson Farm has been helping Veterans and Military members and their families, in all walks of life conquer their personal growth challenges, transforming struggles and burdens into opportunities. Our efforts are all-encompassing, in that we don’t just take care of people; we take care of our horses, our property, and it is with a great deal of passion we serve those who served. Horses are not an inexpensive medium to aid in care! Among the many costs include farrier services, feed, blacksmithing, routine and incidental veterinary care, not to mention grounds costs, utilities, and more. We need your continued support to help us provide a path for our country’s brave men and women who served. Will you help us today? Without donations and sponsorships, Building Bridges Foundation At Anderson Farm cannot continue to grow and offer more service and opportunities for veterans and their families. These services include group and individual therapy sessions to aid in personal growth. Through the services we are providing, we are helping to promote healthy family relationships, job stability, and a positive integration in their community. Thank you for helping those who have served us all. Please call 717-368-3019 to discuss how you can help, or fill out the form below.